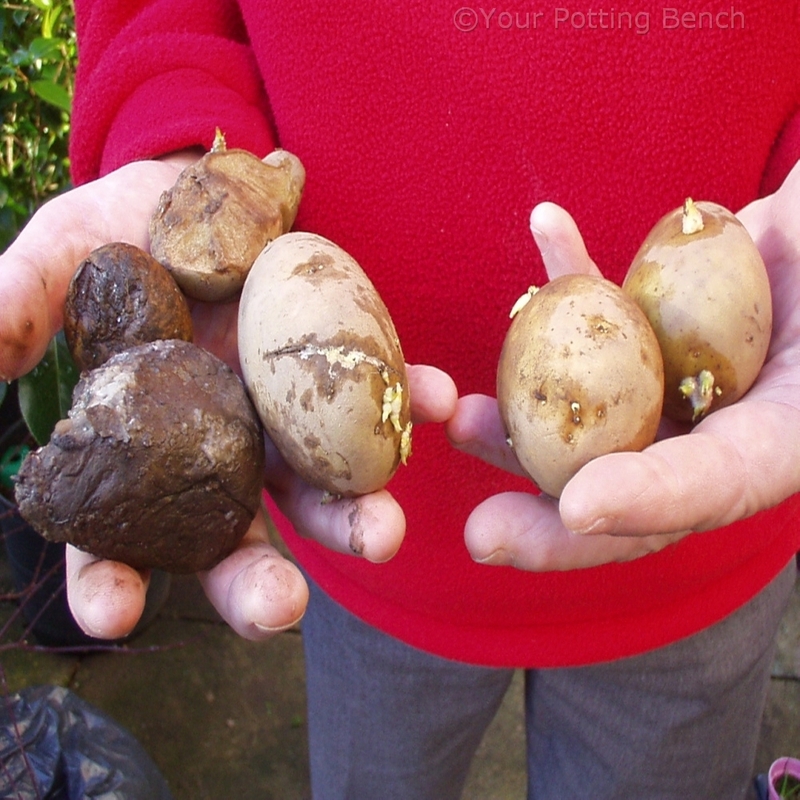 Chitting is the practice of encouraging potatoes to start to shoot before you plant them. 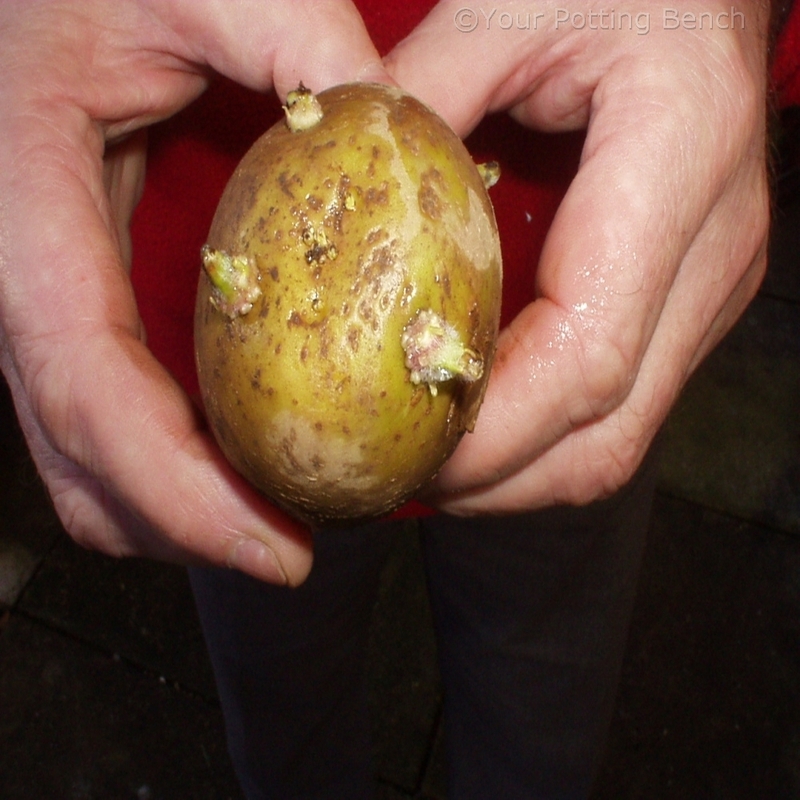 It makes it easier to pick good potatoes to plant and helps them get off to a rapid start. Buying seed potatoes each year is preferable to saving your own, as you always have fresh, clean stock. Use fresh, healthy tubers each year and discard any that show signs of rot or damage. Each of these 'eyes' will grow into a stem that will feed the root system and encourage lots of delicious potatoes. 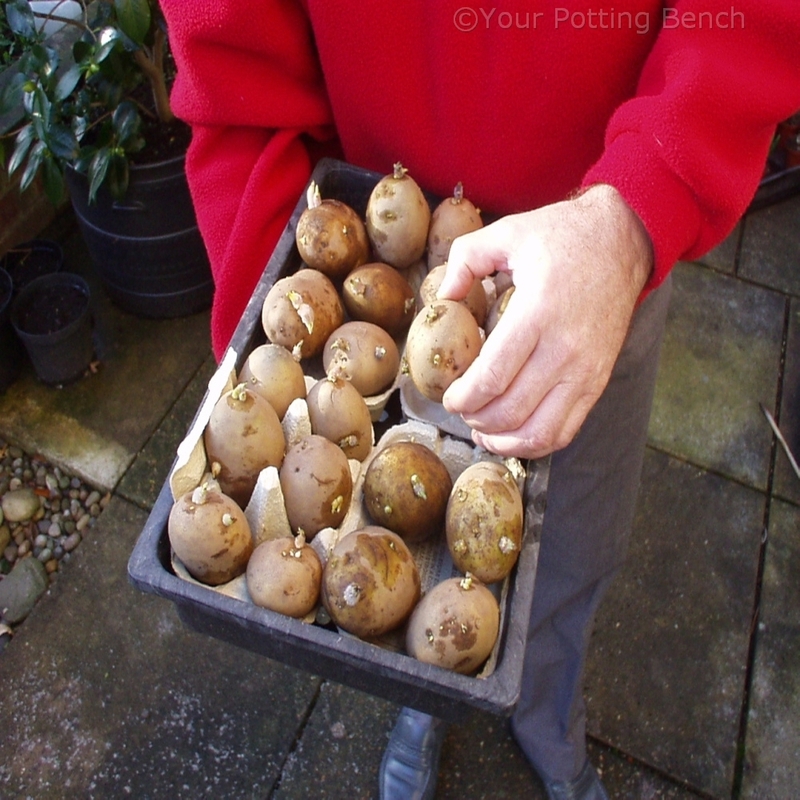 Put the potatoes in a seed tray or egg box to chit, with the end showing the most eyes uppermost. Place them in a cool, frost-free, well-lit spot to let the eyes develop. 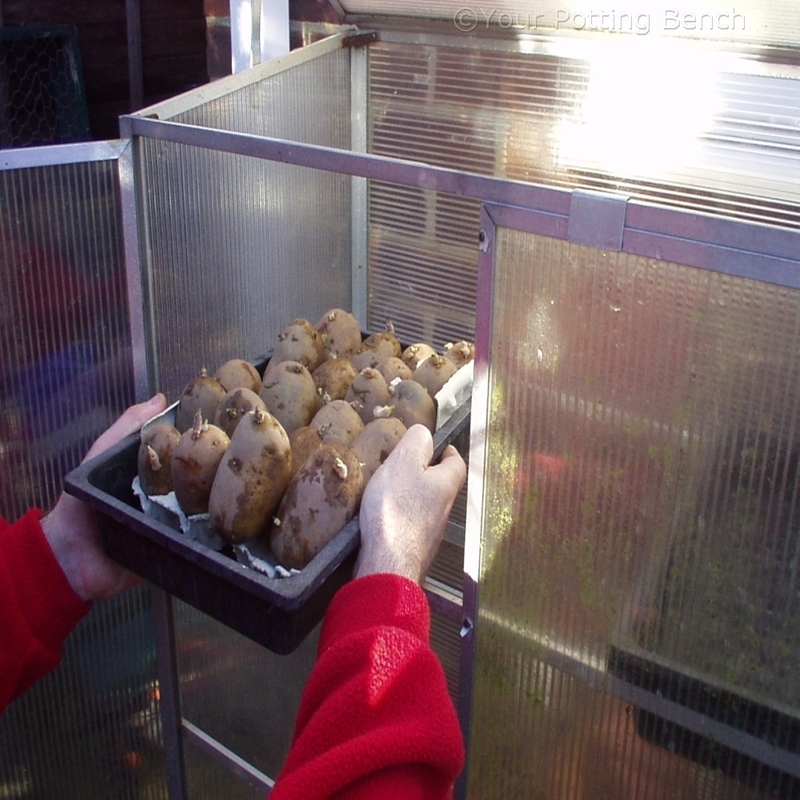 Once they are around 1cm long, the potatoes are ready to be planted out. Keep them the same way up as you plant and they will soon start to grow.